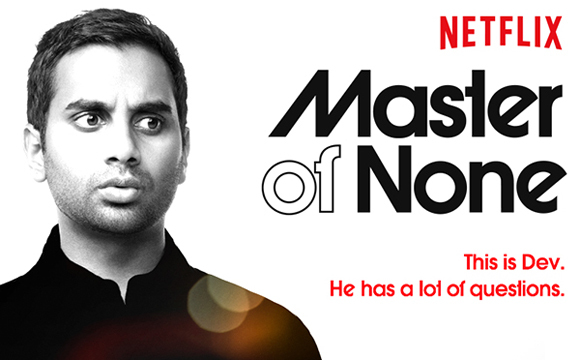 The moment I knew I loved Master of None…. Home /Editorials, Opinion, Television/The moment I knew I loved Master of None…. The trailer struck a nerve. The cinematic look, the smart humor and a story focusing on a guy who’s lost in his early thirties (something I frighteningly relate too) felt like the perfect series for me to binge watch. I soon caught myself watching the trailer on a loop, counting down the days till the series dropped on Netflix. So this past weekend I found some time to watch at least the first episode on a Saturday morning. My reaction to episode 1? I liked it a lot, but I wasn’t ready to scream to the world that I loved the show. In the beginning of episode we see Dev at his parents place. He’s talking to his father, Ramesh, about a recent audition for a big budget horror/sci-fi film. But Ramesh is too distracted by his iPad not working properly. He asks Dev to help with the iPad, but Dev is immediately annoyed with this request telling his dad that he’s not an I.T. guy and that he’s too busy because he has to run to the movies to meet his friend Brian. We soon push in slowly on Ramesh and we soon see him flashback to his youth in India. We then see Ramesh’s life in important chunks. We see Ramesh struggle with his own father and struggle with racism when he lands his first job in America. Then we see the birth of Dev (who was born in 1983, the same year as me) in which we see how happy Ramesh is and how hopeful he is for his son’s future…..we then immediately cut back to Dev’s whining as to how he’s not an I.T. Guy and we see Ramesh’s small disappointment. This sequence blew me away….and it was so good they did it yet AGAIN with Brian (whose Taiwanese) and HIS father. I paused the episode. I was laughing (that’s for damn sure) but I also took pause because this sequence hit very close to home. As a Filipino American, I also grew up with parents who were raised from another country. Parents that left their home to start a new life. My parents struggled, had to figure out their lives, set up plans to include bringing my sister and brother to America as well. I was born in the States, so I didn’t know how things were in the Philippines. This opening sequence was brilliant but when I realized that I’ve LITERALLY said the same thing to my own mother whenever she asks me for help with her iPhone, I had to stop and think. This moment honestly got me to be ashamed of myself. I do my best to help my mother out, but even I can admit that I forget that she had a whole life before me, a series of goals to be happier, and she went through a lot to make sure that me, my brother and sister had a great life. The rest of episode explores these ideas further, as Dev and Brian take an active role to hang out with their parents and to get to know more about their lives and to start connecting with them. To start seeing their parents as more than just their parents. The whole episode just got better and better for me, with the jokes kept coming and the honest human moments to add some nuance to the whole events. A special mention to how great how Dev’s parents are in the show…especially since they are in fact Aziz’s ACTUAL parents. They are fantastic and I’m a big fan of the how Shoukath Ansari (who plays Ramesh) says the word MAAAAAAN. Granted, it’s not that easy, and there are still some really funny moments that make the boys wonder if they made a mistake in doing this but the resolution to this episode is a great and even realistic pay off. The rest of the show is pretty damn great (with episode 9, Mornings, being my other favorite episode) but it was this episode that made me realize that I was watching a show that I can truly connect too, not just in an entertainment value. Oh, and just so you know…before I continued the episode I took some time to tell my mother thank you and that I loved her. Thanks Aziz Ansari and co-writer Alan Yang.